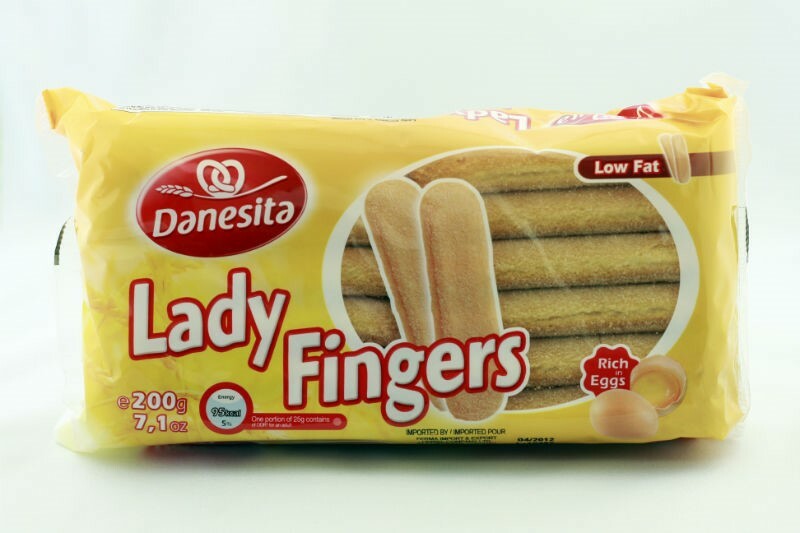 Ladyfingers. A tasty cookie all by themselves. But when used in certain desserts, they're fantastic. 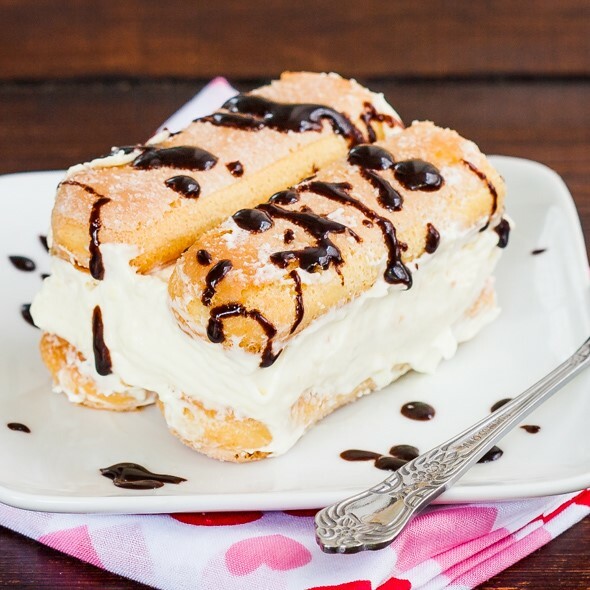 Most folks know ladyfingers are the foundational layers for that classic Italian dessert, tiramisu. But read on-they're suited for much more, and really should take a bow! 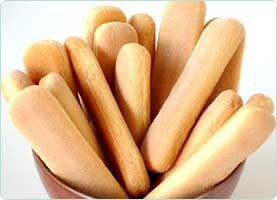 Cover the bottom of a bread loaf baking dish with ladyfingers. Then spread your jam or preserves over the cookies in a thick layer. (If the jam is thick, add a little fruit juice to it-you want it a little runny so the cookies will soak it up.) Then spread a layer of plain Greek yogurt over the jam layer. Add another layer of ladyfingers followed by more jam or preserves and then finish with a final layer of the yogurt. Let the dessert sit in the refrigerator for at least 6 hours or overnight, if possible, to allow the cookies time to soak up the juices. Reserve some of the jam to garnish each serving. Or how about a ladyfinger trifle? 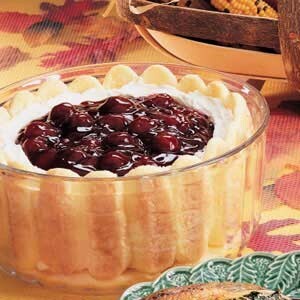 This is a Taste of Home creation: Two 8-ounce packages of cream cheese, 1 cup of powdered sugar, and 2 cups of heavy whipping cream (whipped), one 3-ounce package of ladyfingers, and one 21-ounce can of pie filling (cherry is shown here) is all you need. And the process is super simple. Arrange the cookies on the bottom and around the edge of a 2-quart serving bowl (maybe 8-inches in diameter). Then beat the cream cheese and sugar together and fold in the whipped cream. Pour the cream cheese mixture into the bowl, cover and refrigerate for 4 hours or overnight. Just before serving, spoon your pie filling over the cream cheese mixture. You'll end up with around 8 to 10 servings of deliciousness. A thick layer of pudding-your choice, covers a layer of ladyfingers. Two packages of cookies and two boxes of instant pudding will work. Layer the cookies over a 9x13 baking dish. Mix pudding according to package directions and quickly spread it over the cookie layer before it has time to set up. You want the pudding to start soaking into the cookies. Cover the pudding with another layer of cookies (as pictured) or crush some cookies and sprinkle the crumbs atop the pudding. You can drizzle with chocolate syrup (as pictured) to serve, but I like to garnish each serving with sweetened whipped cream. It's hard to go wrong with this idea. You can see that layering ladyfingers with anything liquidy and sweet is a no-brainer-certainly not rocket science. My next experiment will be with partially set lemon gelatin beaten into softened cream cheese. 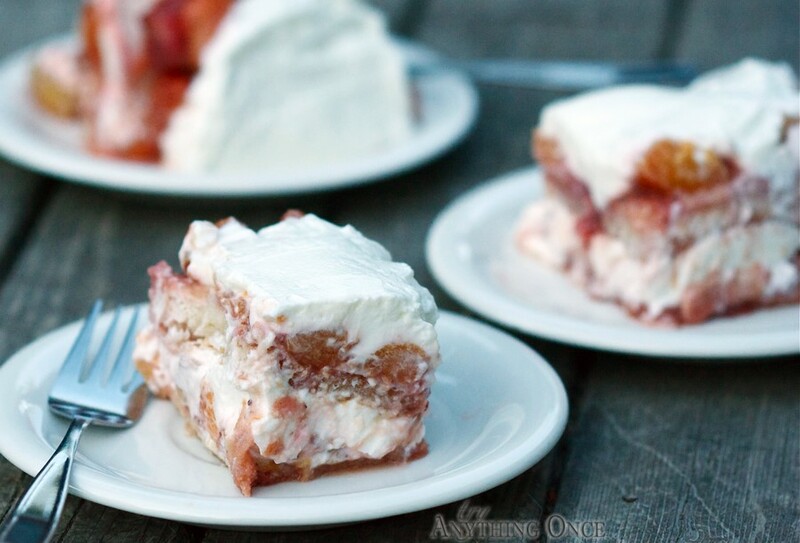 I'll spread that over a layer of cookies and then top all that with a thick layer of sweetened whipped cream. I can hear the applause already. Ladyfingers are my "go to" for quick and easy desserts. They're so versatile and full of inspiration that they really ought to take a bow!